A donation of £25 or more will cover the production costs for a page in one of our publications — helping to ensure the work as a whole is made available to all in Open Access format. As a Page Sponsor you will be eligible to a 10% discount on all purchases made from our website for 12 months after your donation. You will receive our regular newsletters updating you on information about Open Book Publishers and our new publications. A donation of £600 or more will cover the production costs for a chapter in one of our publications. Your donation will be associated with the production of a specific publication, and we will be very happy to send you a free copy of that work, and to acknowledge your donation on the webpage associated with the book. As a Chapter Sponsor you will receive a 15% discount on all purchases made from our website for 12 months after you donate, in addition to our regular newsletters updating you on information about Open Book Publishers and our new publications. With a donation of £5000 you will be covering the production costs for an entire book — ensuring that the work is freely and globally available. We will be happy to discuss with you which of our forthcoming titles you would like to sponsor, and to acknowledge your donation on the copyright page of the work, as well as on the webpage associated with the book. In addition we will provide you with a specially inscribed hardback edition of the work, personally acknowledging your donation. You will also receive updates on the number and location of readers who have accessed the book online — allowing you to keep track of the number of people who have directly benefited from your donation. As a Book Sponsor you will also receive a 20% discount on all purchases made from our website for 24 months after you donate. 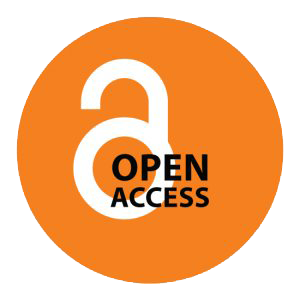 We encourage any institution interested in supporting Open Access publications or developing a publishing partnership with us to email our Managing Director, Alessandra Tosi. We gratefully acknowledge the generous support of the Polonsky Foundation, the Thriplow Charitable Trust and the Jessica E. Smith and Kevin R. Brine Charitable Trust.